The new therapists often take as criteria for success patients’ reports of joy. Indeed, whether through group contagion, simply getting away from it all in weekend meetings, physical and emotional touching or consensual encouragement toward positive thinking, participants in the new therapies do become euphoric. By contrast, traditional psychotherapy is a discipline of abstemiousness and delay. Its implicit assumption is that durable and dependable pleasure comes only after amassing self-understanding. Its formalistic methods, at least as compared to those of the new therapists, may lend itself to such joylessness. Another danger is that patient and therapist can enter into an unconscious collusion toward embracing a superego-ridden ascetic view of life. People with such a view may tend to think of aspects of the human condition as ‘pathology’, thus freighting one’s self with heaviness and criticism. Participants in such a view can forget that each person has a reason for each behavior and that if all were known, the behavior could be seen as the logical, indeed unavoidable, outcome of conscious and unconscious assumptions. Without that recognition the process can add situational guilt to that engendered by unconscious meanings. That guilt-ridden process reflects such old-fashioned, middle-class values as postponement of satisfaction and the work ethic. These middle-class values seem increasingly to be in short supply as American mass culture moves toward consumption, unreflectiveness, instant gratification and entitlement. Should that trend continue, there will be the persistent danger of therapist and patient becoming alienated. Real differences will join with transference distortions. Internal conflict will continue to be obscured by conflict between the patient and the external world, making neutrality a subtle and more complicated issue. The therapist is challenged to embody nascent, warded-off values in the patient while avoiding merely becoming a punishing agent of such values. The future is here, also, in the recent legal victory over restricting psychoanalysis to physicians or physician-dominated organizations. One might expect that would presage a renaissance as new persons and ideas are allowed training and practice, and thus new contributions made to a vital and growing discipline. But that sanguine eventuality is by no means assured. Without the previous clear, if rigid, standards as to what constitutes good training and what theory is admissible as ‘psychoanalysis’, the field is in potentially chaotic ferment. 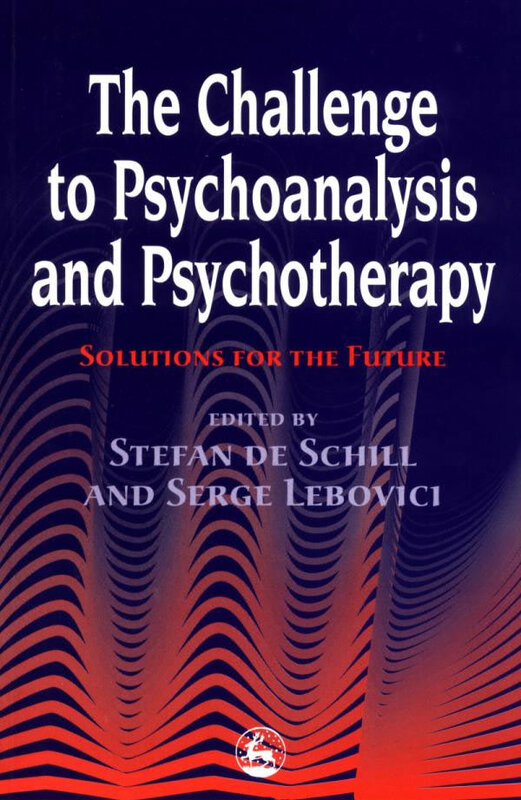 One hears that a couple of years of twice-a-week psychoanalysis is substantively equivalent to the traditional many years and many days a week; that various interpersonal, existential, Jungian, Adlerian approaches are as deserving of the word ‘psychoanalysis’ as are Freudian approaches; that some degrees are necessary for psychoanalytic training (the other person’s are not) and maybe no degree at all is the way to go. What is beginning to stand embarrassingly revealed is that the motives for non-medical training are heavily saturated with wishes for money and prestige, as medical ones have always been, and that these threaten to overcome intellectual and humanitarian considerations. To the extent that such motives predominate, and to the extent that psychoanalysis is watered down, its survival is in jeopardy. So ends the survey of issues raised by the new therapists and others, the dealing with which will determine much about the future of psychotherapy. In a grand and grinding mesh the external forces of change will interact with the results of attending to issues within the practice to determine the future. If we are unlucky, selfish or not wise, psychotherapy and its grand promise will prove to have been just a grain of sand on the beach of time, blown away to oblivion like so many ideas before it. More likely, if we fail to meet change and challenge responsibly, the ‘psychological society’ will continue with a pale, bastardized, mocking version of itself. If we are lucky, we may at least approximate the potential inherent in the basic insights of Freud, the orderliness of science, and the fairness of a just society. The future of individual psychotherapy depends upon how it deals with changes in social and cultural factors, and intra- and inter-professional challenges. The former include the increasing reliance on groups more than individuals, populist tides and changes in insurance practices. All these changes are resulting in a weakening of private practice, shorter treatments, removal of symptoms as the sole goal, changing behavior directly rather than through examination of thoughts and feelings, relying on biology more than psychology and treatment in hospitals rather than outside them. The intra-professional issues include the physical and biological ‘scientific’ as against the humanistic, subjective, personological and object relations points of view, and the role of actual trauma. The inter-professional issues, which continue to be posed by the ‘new therapies’, include structure of meetings, roles of consciousness, will-power and positive thinking, holism of mind and body, the place and use of feelings, emphasis on material from the past or present and how to maintain neutrality and to achieve joy, with changes in training having to be concomitant with the resolution of these issues. Appelbaum, SA (1966) ‘Speaking with the second voice: evocativeness’. Journal of the American Psychoanalytic Association, 14,462-477. Appelbaum, SA (1975) ‘Parkinson’s Law in psychotherapy’. International Journal of Psychoanalytic Psychotherapy, 4, 426-436. Appelbaum, SA (1981) ‘Conscious intention revisited’. Psychotherapy: Theory, Research, and Practice, 18, 22-30. Appelbaum, S.A. (1992) ‘Evils in the private practice of psychotherapy’. Bulletin Menninger Clin., 56, 141-149. Cummings, N. (1978) ‘The future of psychotherapy: one psychologist’s perspective’. American Journal of Psychotherapy, XLI, 3, 349-359. Eagle, M.N. (1985) Recent Developments in Psychoanalysis. New York: McGraw-Hill. Greenson, R. (1967) The Technique and Practice of Psychoanalysis. New York: International Universities Press. Janov, A. (1970) The Primal Scream. New York: Dell. Kohut, H. (1959) ‘Introspection, empathy, and psychoanalysis’. Journal of the American Psychoanalytic Association, 7, 459-482. Kubie, L. (1950) Practical and Theoretical Aspects of Psychoanalysis. New York: International Universities Press. Malan, D. (1963) A Study of Brie/Psychotherapy. London: Tavistock. Mann, D. (1973) Time-Limited Psychotherapy. Cambridge: University Press. Mumford, E., Schlesinger, H.J., Glass, G., Patrick, C. and Cuerdon, T. (1984) ‘A new look at evidence about reduced cost of medical utilization following mental health treatment’. American Journal of Psychiatry, 141, 10, 1145-1158. Pine, F. (1985) Developmental Theory and Clinical Process. New Haven and London: Yale University Press. Schlesinger, H.J., Mumford, E., Glass, G., Scharfstein, S. (1983) ‘Mental health treatment and medical care utilization in a fee-for-service system: outpatient mental health treatment following the onset of a chronic disease’. American Journal of Public Health, 73, #4, 422-429. Wheelis, A. B. ( 1 9 5 6) ‘Will and psychoanalysis’ . Journal of the American Psychoanalytic Association, 4, 285-303.